What better way to get to know a city than through its Gin? When I travelled to Berlin in late 2014 I took the opportunity to reach out to some of the local distillers and was able to get acquainted with them, plus purchase some samples of the local good stuff. To my mind to understand Australian craft Gins you need to see them in a global context, and it was exciting to see how the Germans took their famous attention to detail and perfectionism to the making of gin. It is also worth factoring in two other layers in their approach: the culinary and distilling traditions of particular regions which can go back hundreds of years, and that Gin generally hasn’t been a glamour spirit as we’ve experienced it, until recently, often associated as a rustic or working class spirit. That said, the new craft spirit scene in Germany has common inspiration with other countries, looking to use local ingredients to create a quality spirit that evokes the particular place. Whilst in Berlin I also sampled Adler, (from Berlin too and very good) the Duke (from Munich and rather more robust in style) and some others, but in the bars I only saw mainstream UK brands. I was told that, in the same way Paris isn’t France, that Berlin wasn’t a representation of the rest of Germany, being a world to itself. Its history and streetscapes speaks for itself. But its also a city of rivers and parks (over 35% of the city is devoted to open space) so sourcing ingredients locally makes sense. Politics isn’t that far away obviously from the experience of the city and the name of the Gin comes from a cheeky reference to someone of left-wing politics who sets things on fire (usually from East Berlin) in the more ritzy areas of West Berlin around May Day as a form of protest. Loose translation means: fire starter! The image above is of the sample bottle provided by Steffan. Every year, flowers and herbs are specially handpicked on the Berlin Speisegut farm in Gatow for the production and refinement of this fine unique seven fold filtered distillate. The small harvest volume means that production is limited to 9,999 bottles a year. Bottling by hand and numbering guarantee the origin, production and uniqueness of this product. A sure sign of a quality Gin is that you can drink it neat with pleasure. Nose: delicate and subtle, no alcholic or juniper hit. Tasting: lively and soft on the palette, leaving a slightly spicy and hint of sweetness (echos of honeysuckle, but I reckon its the Elderflower coming through- see below). Forward and rich and very easy to drink with a dry finish. All round, its a very elegant gin, restrained and delicious. If you like Martin Millers, then you’ll really appreciate this expression. 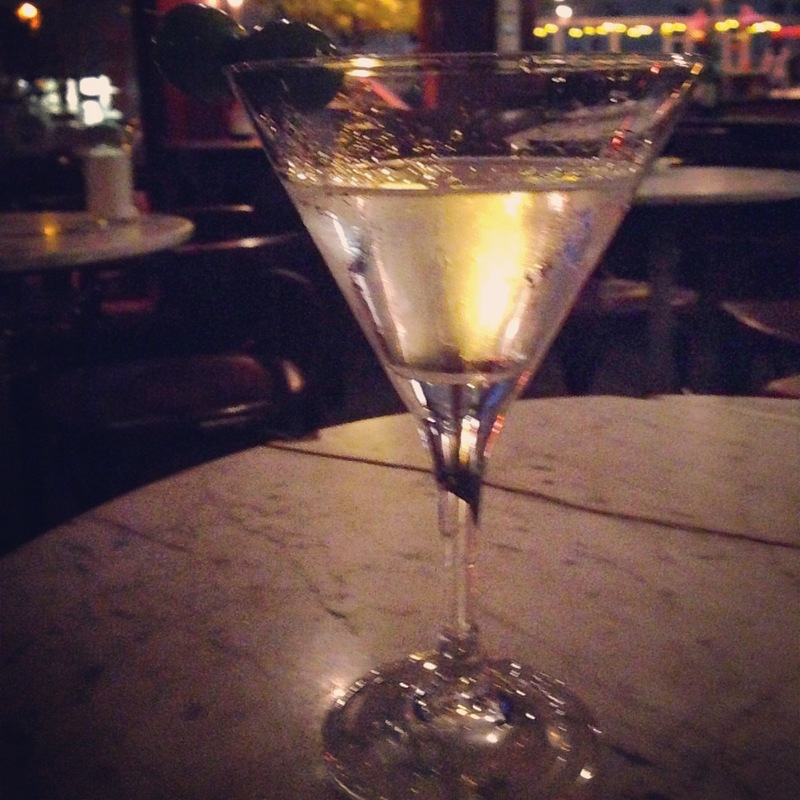 Martini : 45ml of Gin to 5ml of Noilly Prat Vermouth. This made for a very elegant cocktail. It offered a new flavour profile to one used to the Australian or London Dry style. Overall impression was one of a very well crafted spirit that was both flavoursome but restrained, so one note doesn’t dominate and it gives a very harmonious experience. One of the finest Gins I’ve sipped I must say. So whilst I was in Berlin, Steffan and I talked all things Gin over lunch at a cool hipster place in Mitte, Kantine which seemed the right spot to explore how the craft scene was evolving in both Australia and Germany. It was great to compare notes and share with him how the scene has exploded in Australia and its expressions using native botanicals and bold flavours, whilst in Germany they are taking a fresh approach to a spirit that’s been neglected for quite some time for cultural and other reasons. How would you describe the craft gin scene in Germany right now? I think the german gin scene attracted quite some attention in the past 2-3 years by bringing up some great gins that extended the (gin) standards in terms of taste, used botanicals and quality. It is great to see so many high quality products with so many different approaches on taste and the production process. Next to our Berliner Brandstifter Berlin Dry Gin there are loads of outstanding craft gins, such as a gin from the Black forest, using dozens of different botanicals, a riesling grape infused gin from the south-west of Germany or a nice and smooth gin from Hamburg that comes in a grey clay bottle. These products cemented themselves in the market because of their high quality and their distinctive taste. 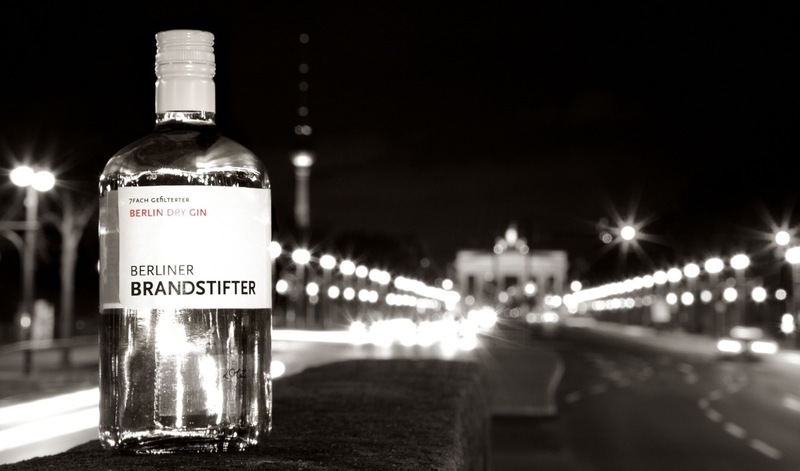 And we are proud to say, that the same goes for our Berliner Brandstifter Berlin Dry Gin with it’s characterful basis of juniper, flavored with hints of fresh flowers and a unique freshness. For the 2015 I would say, that the craft gin scene in Germany will stagnate a bit in terms of new releases. Especially the high-profile gastronomy seems to be saturated with new gins. However there is still potential with customers that “explore” gin and find it as a passion for themselves and go and buy a bottle in retail. Do you market the Gin beyond the local market to other EU countries? By now we distribute our Berlin Dry Gin in Austria and Switzerland and we are working hard to bring our gin to other EU markets in 2015. 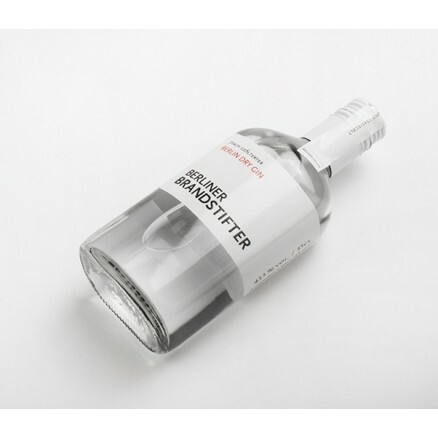 What was the inspiration behind launching Berlin Brandstifter? Vincent Honrodt, a Berlin-native, started Berliner Brandstifter in 2009 following a family tradition from his great grandfather, who was running a sugar factory near Berlin in the 1930’s. As he had easy access to the farmers fruits, vegetables and grains, he started producing his own liquor for himself his family and friends. When Vincent’s grandmother presented some of the kept family liquor called Korn at some 70’s birthday, Vincent had the idea to revive this family tradition and the product Korn as a typical german spirit with a more modern/ minimalistic look and a premium approach. How do the locals respond to your product? Obviously attributes like taste and a sympathy for a brand are always subjective and different to every person. Some people prefer a classic London Dry Gin, others love to experiment and are vey open towards new tastes, like you find a lot with western dry gins, like our Berlin Dry Gin. In general we can say that the response to our products both the Korn and the Gin are very positive. We are happy to say, that 2014 was the most successful year for Berliner Brandstifter since its founding in 2009. Is there a close relationship between leading cocktail bars + mixologists and your brand in the way you aim to raise awareness of your product and how to enjoy it? As mentioned above, taste is an individual attribute people base their decisions upon. So do barkeepers, when they buy a new product for their bar. Say that it means, that we already have good relationships with high quality cocktail bars, but there is still a potential in bars we are not working with yet. Our aim is to always stay in contact with “our” barkeepers, offer them free trainings for their staff to learn about Berliner Brandstifter and our products. Additionally we motivate them to experiment with our products and then reward them by advertising their bar or a particular drink (they created) on our Facebook or Instagram account. Can you share something of the distillation process and your key botanicals? The German wheat distillate we use as a base for both our Korn and our Gin runs through a 7 fold filtration process, which is key to the exceptionally mild and mellow taste. In terms of the gin, the majority of ingredients are sourced in Berlin and the neighbouring regions and are partly picked by hand. The botanicals grown on Berlin farmland are distilled separately and then combined to create the unique flavor composition. Our 4 key botanicals for the gin are elderflower, cucumber, woodruff and malve which create the absolutely unique floral and fresh Berlin Dry Gin taste. I either enjoy straight and slightly cooled or as a classic Gin Tonic, but with a sprinkle from an orange zest (then zest in the glas). When having a Gin + Tonic I like to make sure, that the Tonic Water is not too sweet, so it goes perfectly together with the floral taste of our Gin. Hi there, well thank you! Have Martini will travel they say. Wishing you all good things this year too Anna!